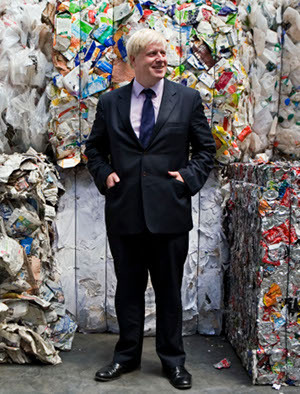 In his business and municipal waste strategies published in November, Boris Johnson ditched plans set out in a 2010 draft document to ask government for a national deposit system for bottles and cans. The municipal waste strategy reduced the target for waste reduction through reuse and repair from 40,000 tonnes in 2015 and 120,000 tonnes in 2031, to 20,000 and 30,000 tonnes respectively as indicated in the draft plan [pdf]. The mayor also cut his ambitions for business waste reduction following a cut in funding allocated by the London Waste and Recycling Board Infrastructure Fund. The draft strategy [pdf] aimed to divert 1.2m tonnes from landfill making 300,000 tonnes of carbon savings a year. In the final document [pdf] the target was reduced to 500,000 tonnes of landfill diversion a year and savings of 3m tonnes of carbon over the lifetime of the projects. In November, Qureshi attacked the mayor’s waste strategy for failing to help the capital’s small businesses access recycling services and facilities. The Mayor of London’s office has not responded to MRW’s requests for a comment.